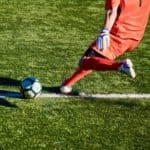 Tifosy, a sports crowdfunding platform co-founded by former Italian footballer and manager GianLuca Vialli and CEO Fausto Zanetton, a former investment banker/ sports, media and tech specialist from Goldman Sachs and Morgan Stanley, aims to spearhead “a sports finance revolution” by allowing supporters to invest in leading clubs. This week Tifosy pitched its own £1M equity raise, issuing 4000 shares in the company, which is valued at £9.2m. 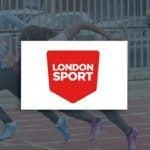 For a minimum £1,000, investors can buy into the company and its unique online platform connects clubs with a global community of fans and investors, giving supporters the chance to buy shares in their favorite clubs or invest in club mini-bonds, providing them with cash interest or club credit. 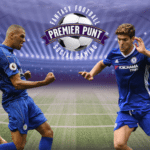 At this writing the platform has surpassed midfield, having raised over £624K from just over 54 investors. 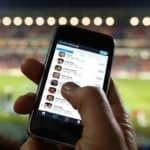 Tifosy has already worked with more than 15 clubs in England and Italy, running rewards-based campaigns to fund training ground and stadium improvements and similar projects. 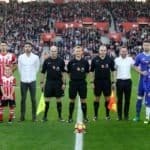 The platform newly launched more ambitious financial campaigns, giving fans greater involvement in their clubs and a return on their investment and clubs access to untapped capital of their global fan base – 30 of the world’s leading clubs, together, have more than 1 billion social followers. “Fans are the greatest asset of any club and our mission is to enable everyone to invest in the clubs they believe in, in a fair and transparent manner. 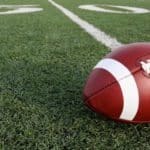 Whilst there is an incredible passion and willingness to invest in sports, there is currently no way to do so for the average fan or investor,” indicated Tifosy Founder & CEO Fausto Zanetton. “Fanfunding transforms the way fans can interact with their clubs. You no longer need to be a billionaire to invest in professional sports clubs. We are unleashing the passion of fans and these billions of global fans represent an enormous and untapped investor base. 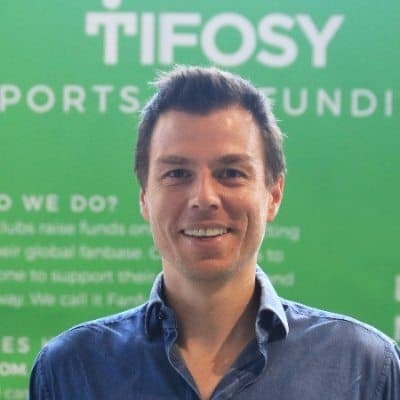 Regulated by the FCA, Tifosy is creating a new asset class: investment in professional sports clubs for ordinary fans by connecting two fast-growing industries, the $150B global sports market and its 4bn fan base, with the $432B global crowdfunding market. 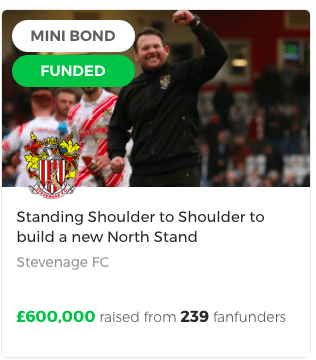 Last month, Tifosy completed English football’s first mini-bond, raising £600,000 in just six weeks for EFL League Two club Stevenage FC to build a new North Stand. 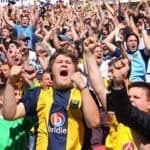 Two hundred and forty fans invested between £500 and £25,000, choosing either 4% cash interest or 8% club credit interest per annum and receiving unique club-related privileges. 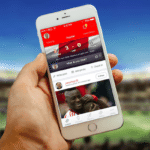 Tifosy plans to run campaigns that will raise several million pounds for the campaigning club, thereby transforming the financing of the sports industry. The company has a strong pipeline of future projects and an established track record. In the UK, Tifosy has worked with many clubs, including Portsmouth FC, Fulham and Bradford City. In Italy, the platform is launching an equity crowdfunding campaign for leading Serie B club Frosinone and has previously raised capital for Carpi and Parma Calcio. 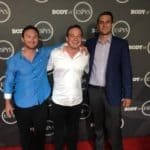 “We believe this pivotal moment in Tifosy’s short history is an excellent opportunity to bring on board the first wave of our very own Fanfunders, passionate advocates who will help change the sports industry for the better,” added Zanetton. 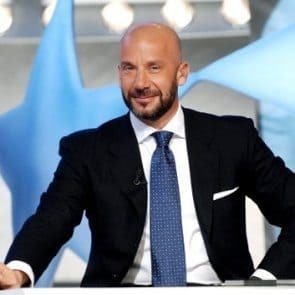 This entry was posted in General News, Investment Platforms and Marketplaces, Offerings and tagged fan funding, fausto zanetton, gianluca vialli, sports, sports clubs. Bookmark the permalink.